A blister causes pain and tenderness. 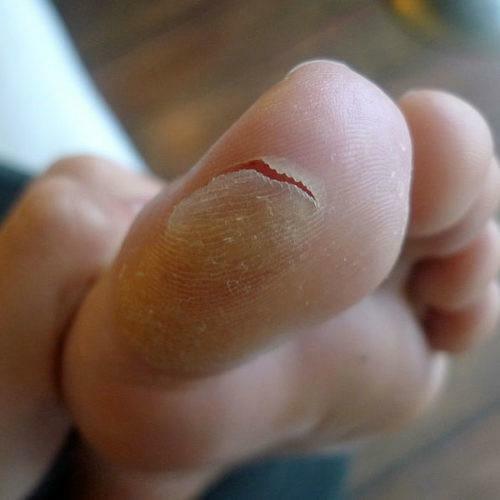 Blisters should be left unbroken wherever possible. A collection of fluid found between the outer and inner layers of the skin. Fluid is a result of leakage from blood vessels beneath the skin after minor damage. 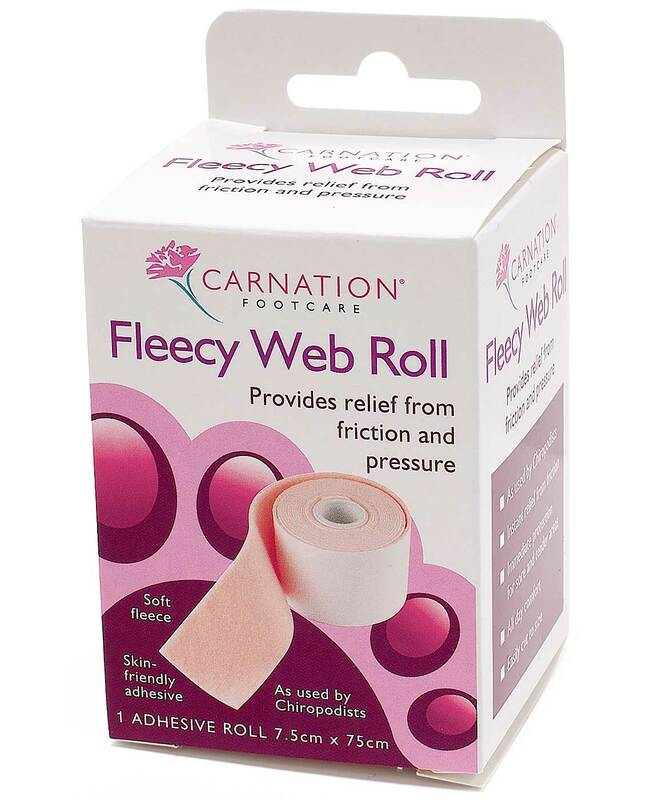 Blister provides valuable protection to the damaged tissue. 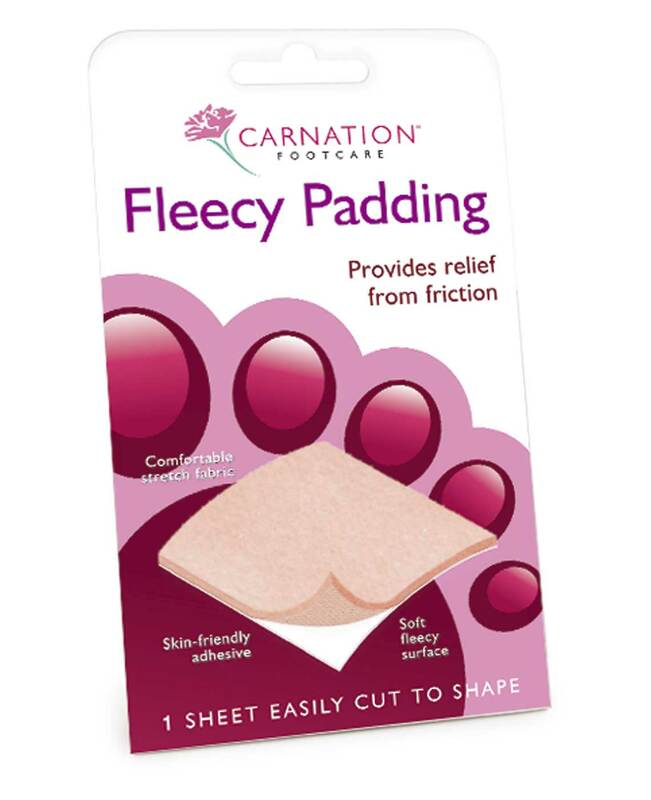 Most commonly caused by rubbing from repetitive shear forces and are quite often the result of wearing ill-fitting shoes or improper footwear for an activity. Can also appear as a result of infections, burns, skin diseases and insect bites. 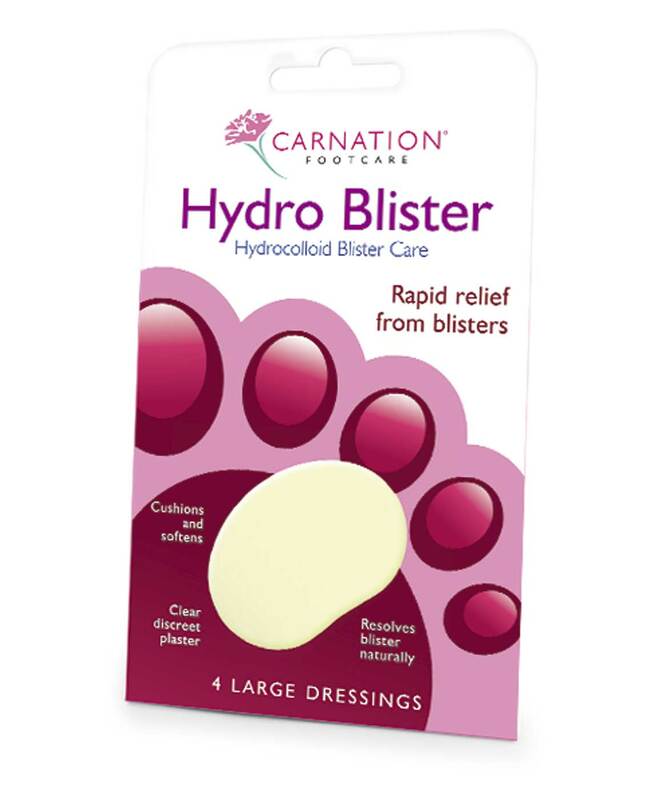 Initially taking a break from an activity or changing the footwear which is causing the blister may help. Sometimes wearing 2 pairs of socks will relieve friction. However wearing socks either too loose or too tight can also aggravate the problem. 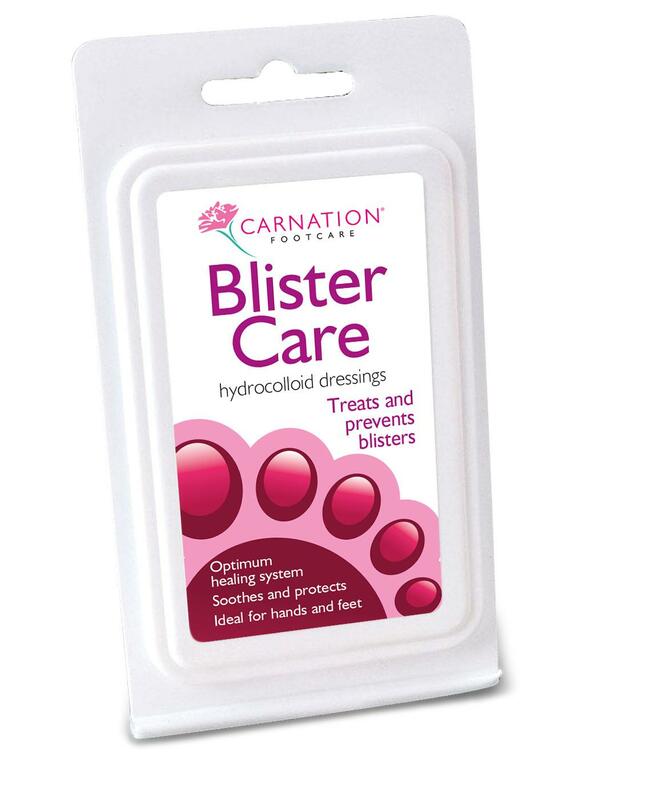 As it is not always convenient to carry out the above, Carnation Hydro Blister Care, available in packs of 4 dressings, absorbs the fluid from broken blisters to help create an optimum healing environment and provides a protective barrier offering cushioning against further damage. 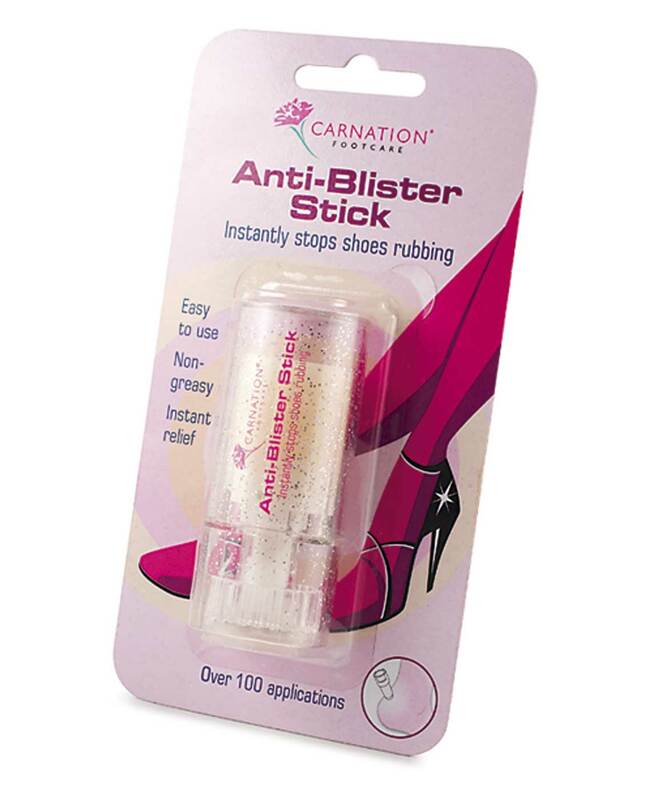 Carnation Anti-Blister Stick instantly stops shoes rubbing. Available in 6.5g packs.